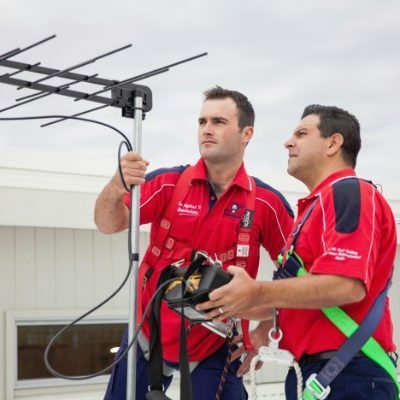 Need TV Antenna Repairs in Adelaide? Call Jim’s Antennas on 131 546 to get TV reception problems sorted. Professionally & Fast! Don’t put up with a substandard TV Aerial; Call the Adelaide Antenna Experts in today on 131 546 [7 days from 8am-8pm] or Book a Time for a Free Quote Online now. We provide a no obligation free quote service, subject to site inspection with no call out fee. Our Digital TV Antenna Experts carry a range of TV Antennas to ensure the correct digital antenna is installed that best suits the Adelaide location. This is important, as often an off-the- shelf “all purpose” antenna will result in substandard tv reception in specific areas; some locations get better reception from a UHF Antenna, depending on the nearest tower and the topography. Other locations may benefit best from Satellite TV installation for optimum performance.